I’m glad to announce that you can now leverage the AWS Toolkit for Eclipse to create Maven projects for AWS, Lambda, and serverless applications now. If you’re new to using the AWS Toolkit for Eclipse to create a Lambda application, you can see the Lambda plugin for more information. If you’re not familiar with serverless applications, see the Serverless Application Model for more information. 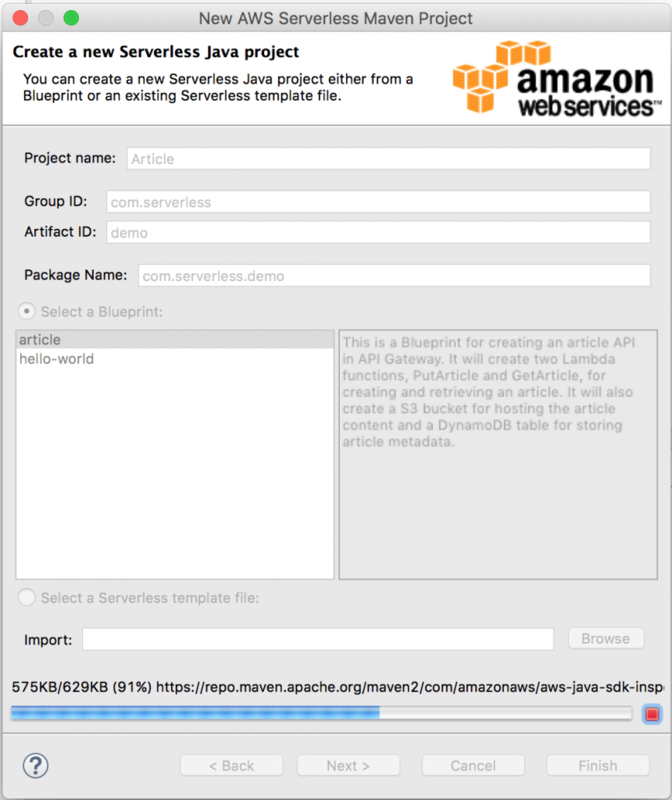 If you have been using the AWS Toolkit for Eclipse, you’ll notice the extra Maven configuration panel in the user interface where you can create a new AWS, Lambda, or serverless application (see the following screenshots). The AWS Toolkit for Eclipse no longer downloads the archived AWS Java SDK ZIP file automatically and puts it in the class path for your AWS application. 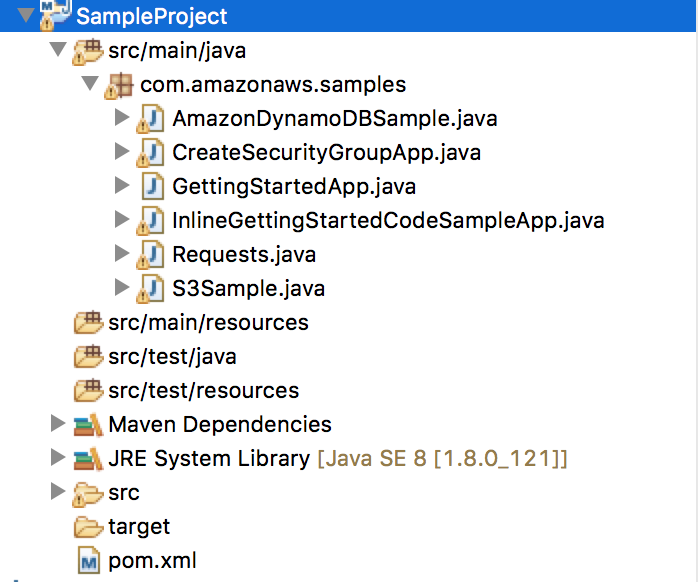 Instead, it manages the dependencies for using Maven by checking for the latest AWS Java SDK version from the remote Maven repository and downloading it automatically, if you don’t already have it installed in your local Maven repository. This means that if a new version of the AWS SDK for Java released, it can take a while to download it before you can create the new application. In the Eclipse toolbar, choose the AWS icon drop-down button, and then choose New AWS Project. 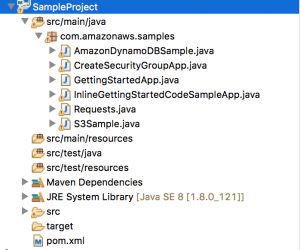 You’ll see the following page, where you can configure the AWS SDK for Java samples you want to include in your application. Here is the structure of the newly created AWS application Java project. You can edit the pom.xml file later to meet your needs to build, test, and deploy your application with Maven. 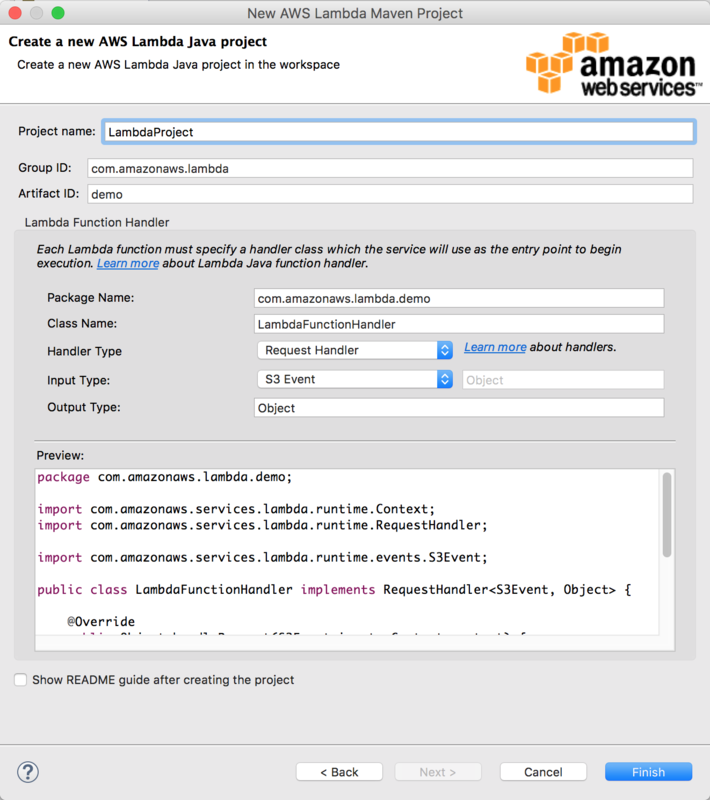 Similarly to how you create a new AWS application project, you can create a new AWS Lambda project. In the Eclipse toolbar, choose the AWS icon drop-down button, and then choose New AWS Lambda Java Project. 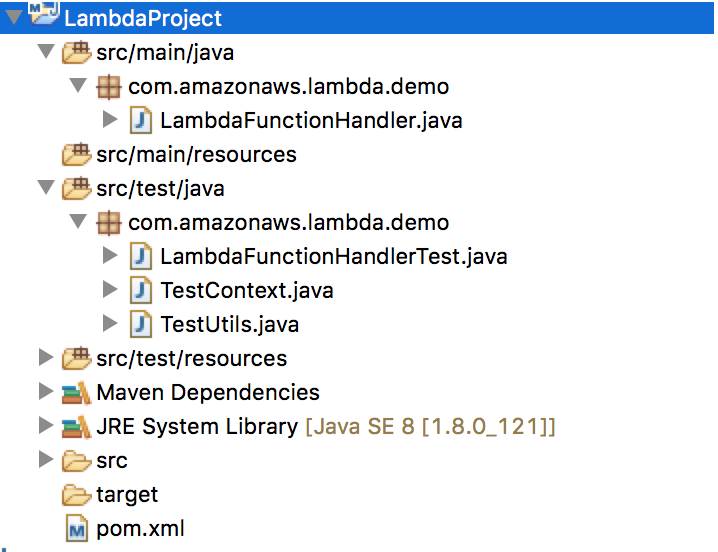 Here is the structure of the newly created AWS Lambda Java project. To create a new serverless application, choose the AWS icon drop-down button and then choose New AWS Serverless Project. 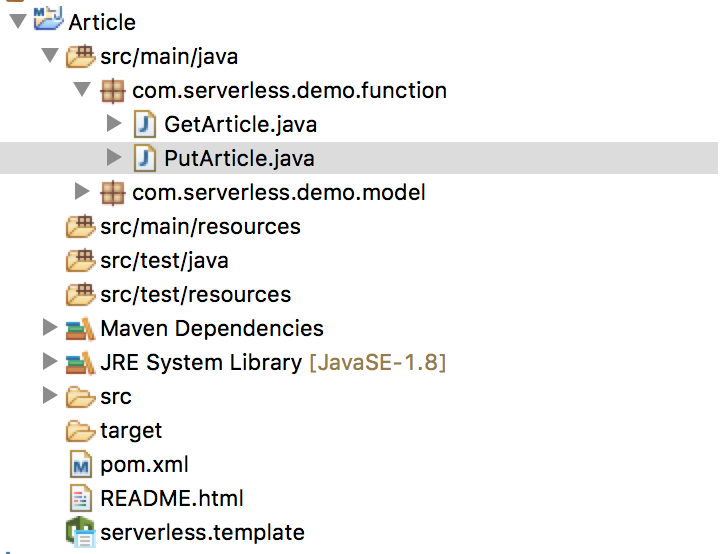 The following screenshot shows the status of the project creation in the process of downloading application dependencies by Maven. Here is the structure of the newly created serverless application Java project. 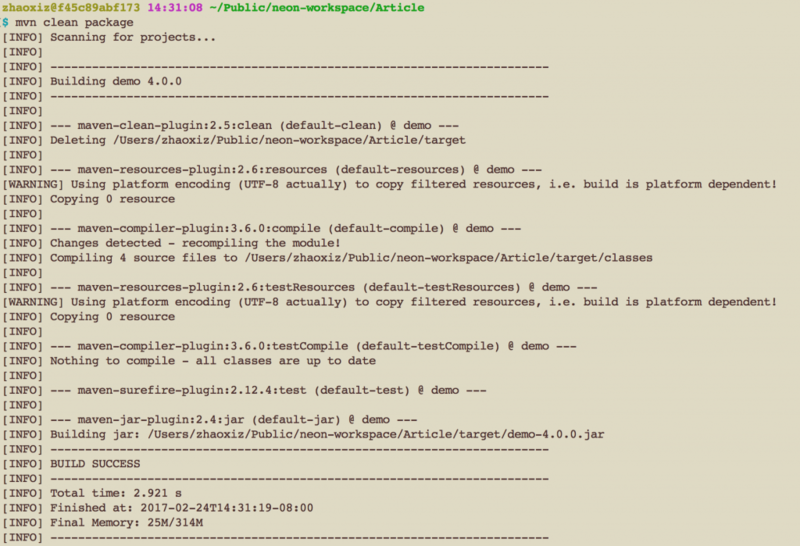 You can also use the Maven command-line in the terminal to build and test the project you just created, as shown in the following screenshot. 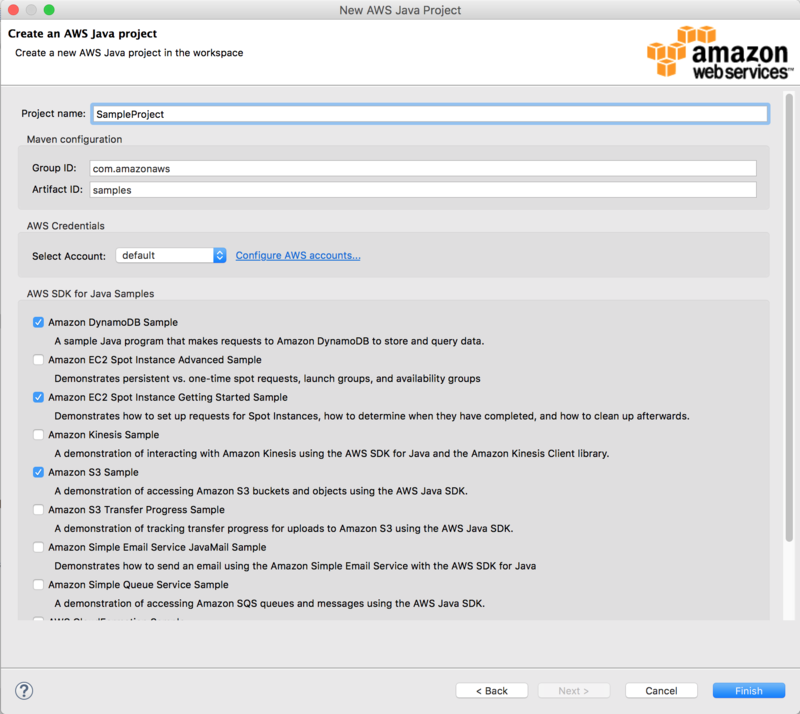 Please let us know what you think of the new Maven support in the AWS Toolkit for Eclipse. We appreciate your comments.